Lava has just announced a brand new tablet dubbed QPAD e704 aimed at the lower end of the market. 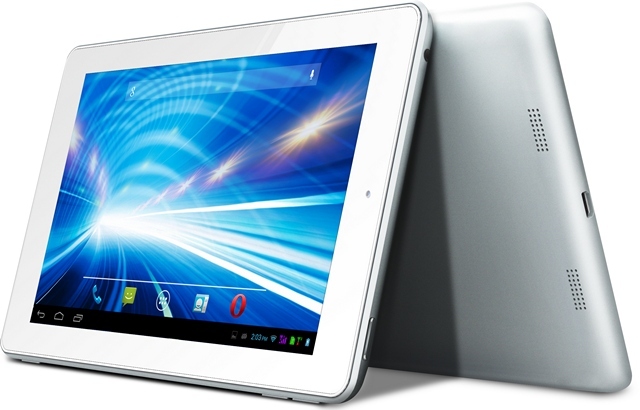 With the QPAD e704 tablet, Lava aims to target the working youth segment. Lava QPAD e704 features a 7-inch TFT LCD display of resolution 1024×60 pixels. It is powered by a Cortex A9 Quad-core Broadcom processor clocked at 1.2 GHz with Mali 400 GPU. There’s 1 GB RAM for your multitasking needs and 4 GB of internal storage with microSD expandability up to 32 GB. A 3 MP camera graces the rear while VGA front facing camera takes care of your selfie and Skype needs. Android 4.2.2 Jelly Bean runs the show and a 3500 mAh battery keeps the device running, which Lava rates at 300 hours of standby time and 10 hours talk time. The tablet is dual SIM one and it comes with 3G connectivity support. The Lava QPAD e704 tablet comes with a number of apps and games preloaded like WeChat, Viber, Asphalt 7 HD and NQ Anti-virus. The tablet will be exclusively available at Flipkart for the first two weeks and it is priced at Rs. 9,999.